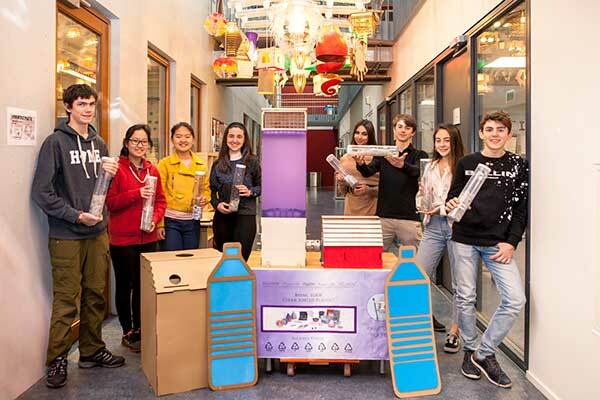 Support PlastISH in their quest to recycle the school's waste. DONATE! You long for a green future, you want to reduce the amount of plastic waste that ends up polluting our beautiful Earth, you want to make a difference. And that's why clicked on the right news story! At PlastISH, our aim is to have a complete production line consisting of all four machines to recycle our school's plastic waste. This way, we'd be able to create products at a relatively large scale and have a greater impact on the community, both at ISH and in The Hague - possibly even at an international scale later on! Simeng spent two years building the plastic shredder for her Personal Project but we cannot afford to spend a total of six years on the remaining machines and that's why we've decided to buy them. Feel free to contact us if you have any questions or would simply like to say hi :) Finally, please help us spread the word! Tell your friends, family, colleagues, teachers, students, the bus driver, the lady at the cashier - everyone! The more support we get, the sooner we can start making a difference together. Update: We're thinking of creating a limited edition product as a small token of appreciation for all of our supporters!